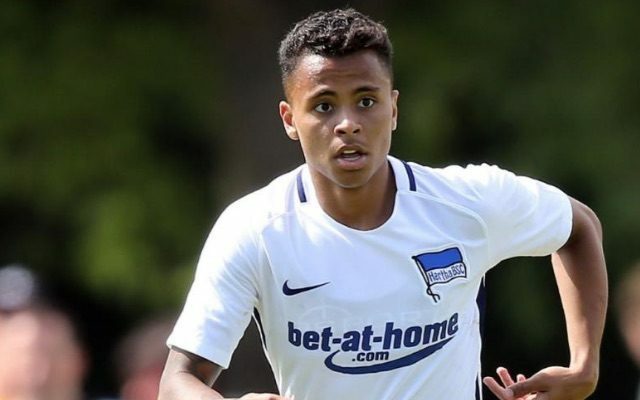 Young Brazilian Allan Rodrigues made his full debut for Hertha Berlin last night, against one of the world’s best sides in Bayern Munich. What’s more, they were playing at the Allianz Arena and Carlo Ancelotti’s side have yet to drop a point this season. Unsurprisingly, Bayern won 3-0, and unfortunately, the 19-year-old was directly at fault for one of the goals – losing possession in the area for Thiago to slam home. But Hertha’s manager Pal Dardai told Sky Germany that he was pleased with Allan in the whole, because of his ability to contribute both defensively and offensively. “Allan is a young, Brazilian lad with German blood. He works relentlessly against the ball and is lethal in transitioning from defence to attack which will help us counter attacking,” he said. Hopefully Allan stays in the side despite the defeat and his mistake, as we’d love to see him get a real run of Bundesliga games under his belt. He can rest assured the tasks won’t come any more difficult than last night’s clash, especially in a Hertha team that’s so far won three of their four games and is looking good for the campaign ahead.